George Allen was born in London on 23 November 1800. He was the second son of Richard Allen (d.1806), physician, and his second wife Mary née Tickfold (d. 19 January 1893). His mother married Thomas Collicott in 1806. George Allen married Jane, daughter of Thomas and Jane Bowden, in Sydney on 24 July 1823. Of their 14 children, five sons and five daughters survived. Their son George Wigram Allen was an alderman and mayor for Glebe Council from 1859 to 1878. George Allen died at his Toxteth Estate on 3 November 1877 and was buried at the old Wesleyan Cemetery at Rookwood. George Allen’s stepfather Thomas Collicott was convicted of fraud over revenue stamps and was transported to NSW in the Earl Spencer in October 1813. Mary applied for assistance to join her husband and arrived in Sydney with five children, including George, on the Mary Ann in January 1816. George Allen was articled to the government solicitor, WH Moore, and, following Moore’s suspension, to his successor Frederick Garling. He was admitted as a solicitor on 24 July 1822, the first to receive his training in New South Wales. He established himself initially on the corner of George and Hunter streets, later in Macquarie Street, and from 1825 in Elizabeth Street. His son, George Wigram Allen, joined the business in 1847, becoming his father’s partner and successor. 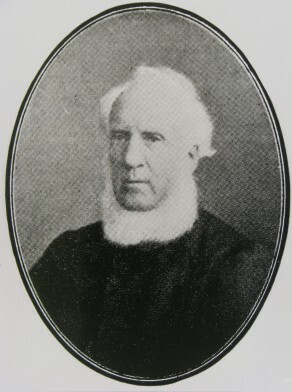 The son, later an MLA, was Chairman of the inaugural Glebe Council from 1859 to 1866 and Mayor of Glebe from 1867 to 1877. George Allen senior retired in 1855, having established Australia’s oldest legal firm, known since 1894 as Allen Allen and Hemsley. By 1831, Allen was the owner of three Sydney houses as well as a 30 acre estate at Botany Bay. Toxteth Park in the inner Sydney suburb of Glebe was a 96 acre estate where the family lived until the death of the patriarch. The Toxteth Estate has long since been subdivided for inner city housing. The name survives in the popular Toxteth Hotel in Glebe Point Road, the type of establishment so loathed by the Wesleyan George Allen. George Allen was the founding director and solicitor of the Gaslight Company in 1836. He was a solicitor (1843), director (1860-66 and 1868-77), and president (1863-66) of the NSW Savings Bank. He was a founder of the Sydney Free Grammar School in 1825 and later a trustee of the Sydney College. He was a member of the Denominational Board from 1848 to 1860, the Council of Education from its foundation in 1867 and of the University of Sydney Senate in 1859. Allen joined the Methodist Society in 1821 and played a significant role in Sydney’s Methodist community and the Temperance Society. He was honorary secretary of the Benevolent Society for many years. In 1825 he was one of the founders of the Sydney Free Grammar School and sometime secretary and president of its trustees, and trustee of its successor, Sydney College. In 1826 he joined the Agricultural and Horticultural Society. From 1848 to 1860 he was a member of the Denominational Board and, from 1867 to 1873, a member of the Council of Education. In 1859 he became a member of the Sydney University Senate. George Allen was appointed by Governor Gipps as a non-elected member of the NSW Legislative Council from 28 July 1845 to 29 February 1856. He was a member of the newly constituted NSW Legislative Council from 22 May 1856 to 13 May 1861 and 3 September 1861 to 3 November 1877. He was Chairman of Committees 4 June 1856 to 13 May 1861 and 3 Sep 1861 to 15 January 1873. Allen was aappointed for life on 24 June 1861 but was forced by failing eyesight to resign in 1873. George Allen was elected at the foundation of Sydney City Council for Bourke Ward on 1 November 1842 and presided over the first meeting of Council on 9 November 1842. He served until 31 December 1853 when the Council was dismissed and the City was placed under the administration of a three-member Commission. Allen was Mayor from November 1844 to November 1845. Norman Cowper and Vivienne Parsons, ‘Allen, George (1800–1877)’, Australian Dictionary of Biography, National Centre of Biography, Australian National University, http://adb.anu.edu.au/biography/allen-george-1696/text1831, accessed 1 February 2013.